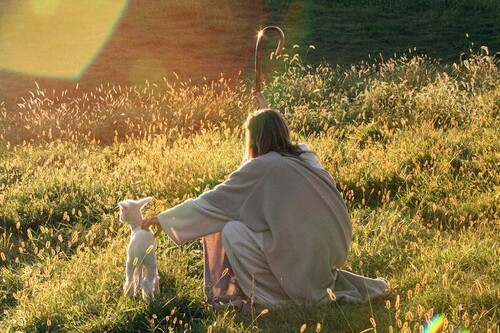 He is my shepherd. . HD Wallpaper and background images in the येशु club tagged: photo. This येशु photo contains अटलांटिक हेरिंग, clupea harengus harengus, क्लपेआ हरेन्जस हरेन्जस, अटलांटिक मछली, हेरिंग, clupea harangus, and क्लपेई हारंगस. There might also be प्रशांत चुन्नी, sardinops केरुलिया, प्रशांत सार्डिन, सार्डिनोप्स कैर्यूला, sardinops caerulea, grainfield, अनाज क्षेत्र, अनाज, अन्न क्षेत्र, गलाना, and पिघलता.